and will not be updated. .. Kobo Daishi Reijo 弘法大師霊場 Kobo Daishi Pilgrimages in Japan . This pilgrimage was established in 1755 by Shootoo Oshoo　正等和尚 Shoto Osho (1703-1774. His grave is at the temple Nr. 31, 多聞院 Tamon-In. The only geographical booklet on Edo compiled by the Edo Shogunate. Also known by the separate title Gofunai Biko. This work was organized to serve as reference for the Gofunai Fudoki to be compiled by the Tokugawa Shogunate, and was compiled in 2 parts consisting of a principal part and a sequel from 1826 to 1830. 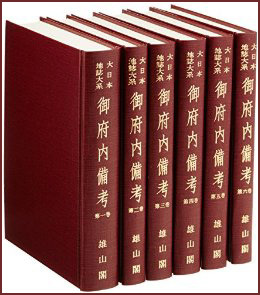 The 145 volumes of the main part contain articles on Edo Castle, streets, historic spots, etc. 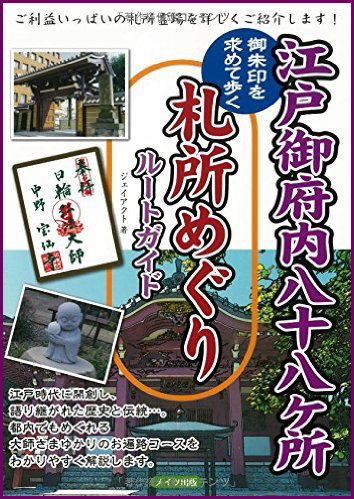 The 147 volumes of the sequel are also known as the Gofunai Jisha Biko and contain information on the origins and historic associations of temples and shrines. The Gofunai Fudoki was lost in the fire at the imperial palace in 1872, however the Gofunai Biko escaped intact. 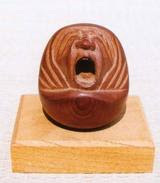 Fudo Myo-O Junrei - Introduction - .
. The Five Great Elements of the Universe - 地水火風空の五大 .
. Gyoki Bosatsu 行基菩薩 (668 - 749) Saint Gyōki .